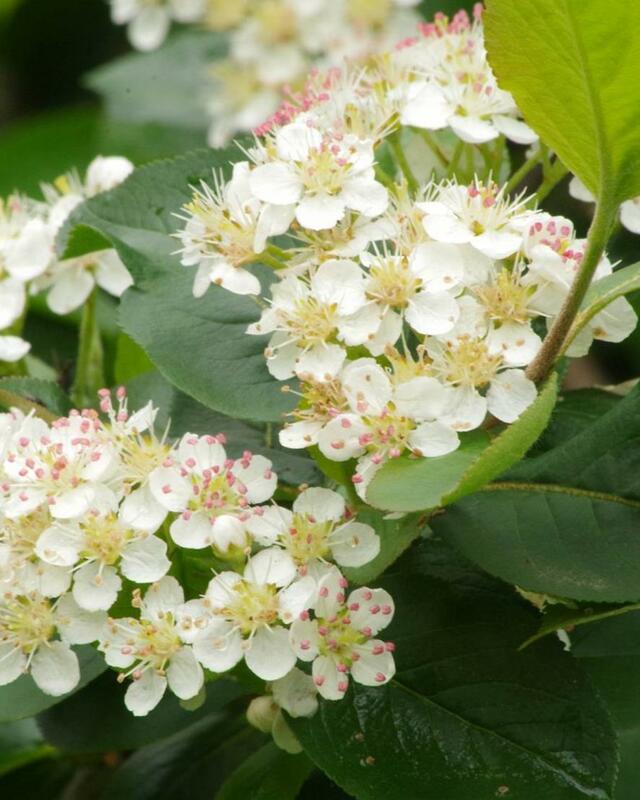 Bushy shrub with dark green leaves and masses of small white flowers in the spring. 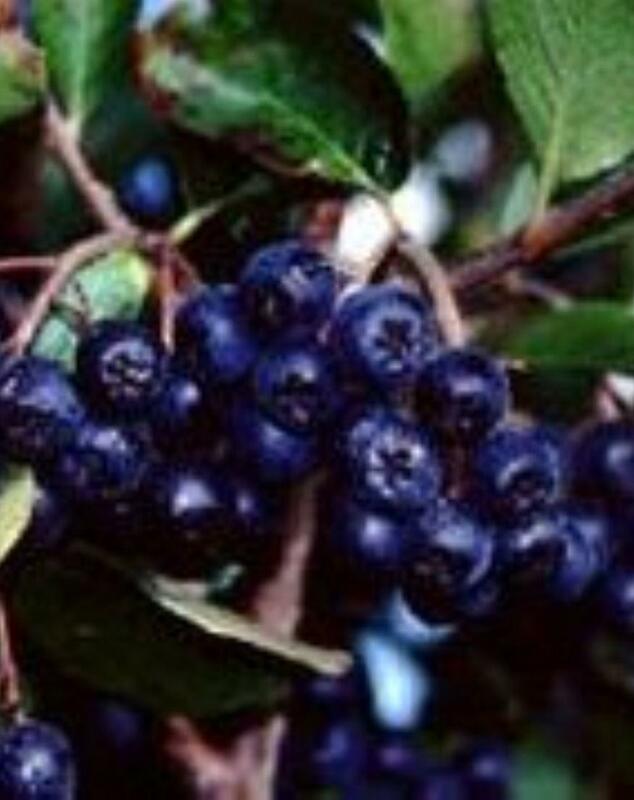 Black fruits similar to black currents follow after flowers. During Autumn leaves turn brillant orange and red. Requires full sun and best for Autumn colour a well drained humus rich soil.